Becca grew up here in the beautiful Northwest and absolutely loves it. 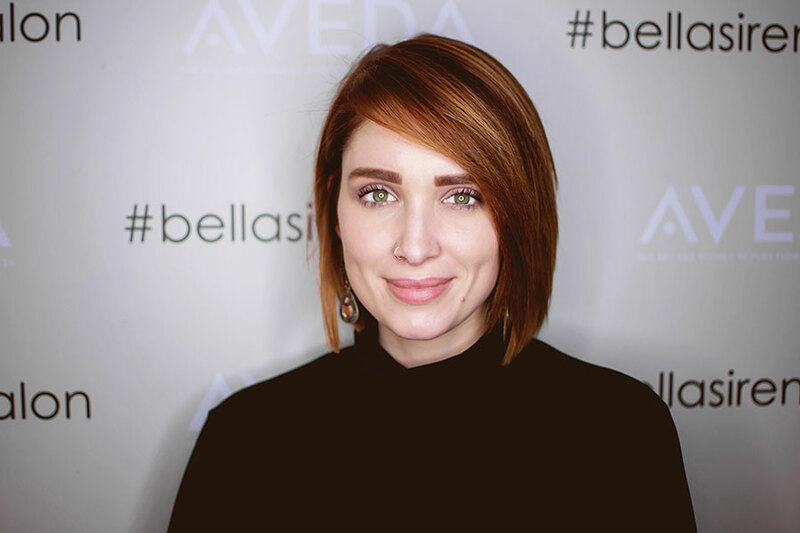 She graduated from Gary Manuel Aveda Institute in 2010 and then completed the advanced training program here at Bella Sirena. She continues to give her clients beautiful, trendy hairstyles by keeping her skills up to date with continuous advanced color and cutting education classes. She provides all hair services, but especially loves cutting short hairstyles for women. Outside of work she loves spending time outdoors: hiking, kayaking, sailing and playing putt putt golf or just hanging out with her Chihuahua Rusty.